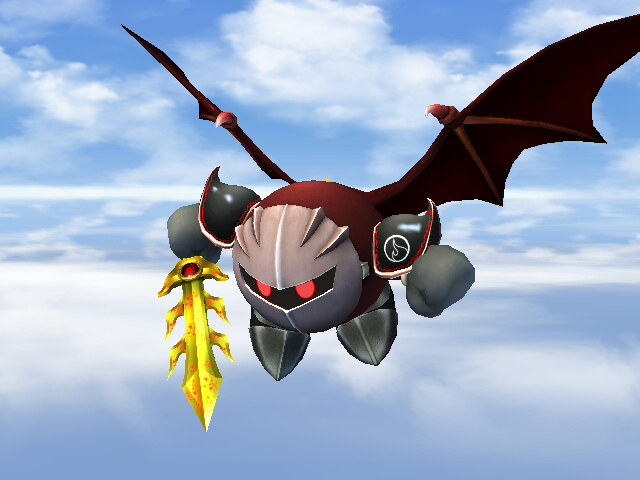 Here is a red Meta Knight texture, which is my first texture uploaded to Brawl Vault. This isn't my first texture, however, it is my best. 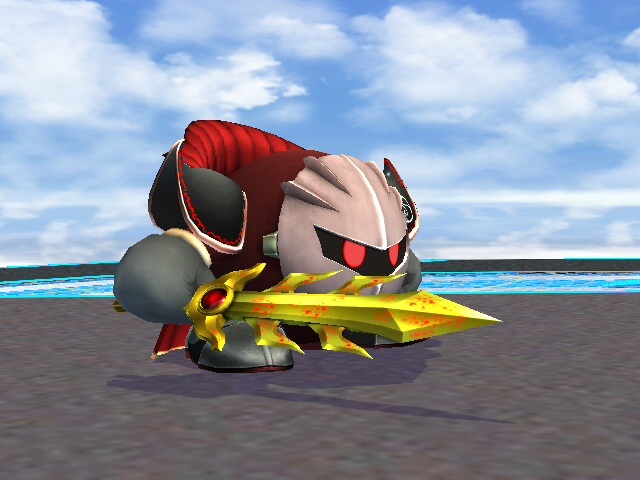 There are some blood splats on the blade, and that logo is the Fireware logo. 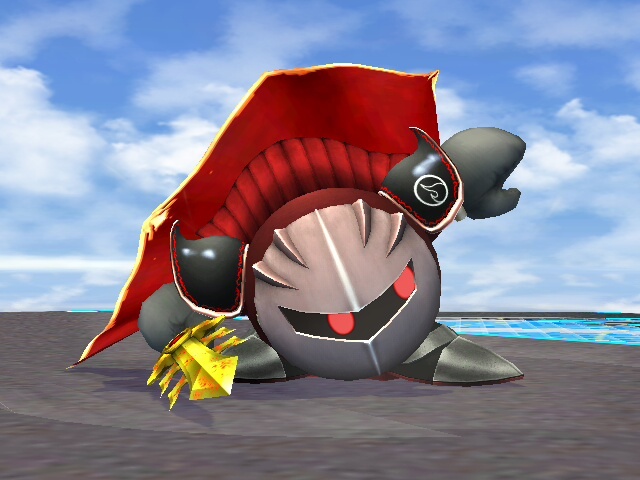 My brother did help me with the cape and logo, so credit to him for that. Besides that, everything here is completely original and done by me.